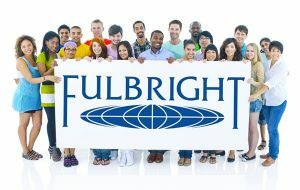 The Fulbright U.S. Student Program provides grants for individually designed study/research projects. During their grants, Fulbrighters will meet, work, live with and learn from the people of the host country, sharing daily experiences. The program facilitates cultural exchange through direct interaction on an individual basis in the classroom, field, home, and in routine tasks, allowing the grantee to gain an appreciation of others’ viewpoints and beliefs, the way they do things, and the way they think. Through engagement in the community, the individual will interact with their hosts on a one-to-one basis in an atmosphere of openness, academic integrity, and intellectual freedom, thereby promoting mutual understanding.